The book has been conceived and brought forth as a short text-material for guidance of students as also for any member of the general public who is interested in having a casual acquaintance with this fascinating branch of law. It is a remedial subject. The courts are ready to mould it to provide remedy to any injured person particularly where there is no statutory coverage. It is one subject which is approximating the law to the legal ideal that wherever there is a wrong there must be a remedy. Every injured person is looking for a remedy. To him it would seem that the whole colossal legal system is a failure if his injury remains unredressed. Nothing is capable of bringing about more social satisfaction and thereby promoting more general public happiness than the care shown to aggrieved persons. The law of torts being a general caretaker of social wrongs, its knowledge is important not only to students, but also to the general public. To this field of social protection law, another important piece of social legislation has been added, which is known as the Consumer Protection Act. Buyers enjoy some protection under the Sale of Goods Act, 1930 but this Act is confined to goods only and does not extend to services. The Consumer Protection Act covers both fields of consumption. 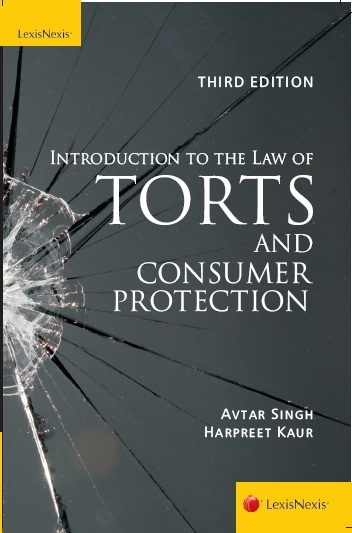 Laws of tort and contract also provide remedies in this field covered by the Consumer Protection Act. It also covers rendering of services. Another added feature is the special devised machinery of Forums and Commissions for easy and speedy remedies to the aggrieved consumers.